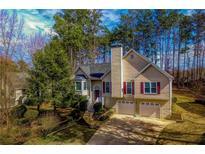 Below you can view all the homes for sale in the Etowah Valley Estates subdivision located in Woodstock Georgia. 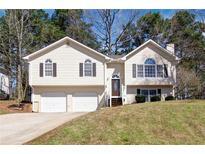 Listings in Etowah Valley Estates are updated daily from data we receive from the Atlanta multiple listing service. To learn more about any of these homes or to receive custom notifications when a new property is listed for sale in Etowah Valley Estates, give us a call at 404-998-4112. This Beautiful Two Story Home Is Move In Ready. MLS#6539514. The Avenues Of Atlanta Realty, Llc..
Lower Level With Bedroom And Separate Large Room, Great For Teenager/Game Or Media Room. Large Back Yard MLS#6523154. Keller Williams Realty Partners. 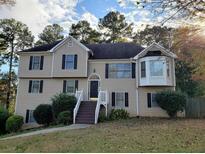 Hardwood, New Lvt & Carpeted Floors And A Beautiful Eat-In Kitchen With White Cabinets, Island And Granite Countertops. MLS#6511012. Keller Williams Realty Partners. Must See It. MLS#6099063. Keller Williams Realty Chattahoochee North, Llc.